Mr. Allen has served as chairman of the board of directors of the Moses Taylor Foundation since its inception in 1984. 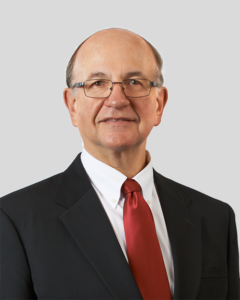 He also currently serves as chairman of the board of directors of the Moses Taylor Hospital and is a member of the board of Regional Hospital, Scranton, PA. Mr. Allen is a registered pharmacist and owner and president of Allen’s Pharmacy in Scranton, PA. He previously served as chairman and director of the boards of directors of Citizens Savings Bank, Clarks Summit and AAA North Penn, Scranton. He also served on the board of directors of the Boys and Girls Club of Scranton. On May 23, 2001, Judge Mazzoni was nominated by Pennsylvania Governor Thomas Ridge to fill a vacancy in the Court of Common Pleas of Lackawanna County. He was elected to a full ten-year term in November, 2001, and later retained for a second term in November, 2011. Since his appointment, Judge Mazzoni has been a trial judge presiding over a variety of civil and criminal matters. Judge Mazzoni attended George Washington University where he earned a BA Degree in Education in 1970. He earned his law degree from St. Mary’s University School of Law in San Antonio, Texas in 1974. Prior to assuming his judicial duties, Judge Mazzoni was engaged in the practice of law for approximately twenty-seven years. 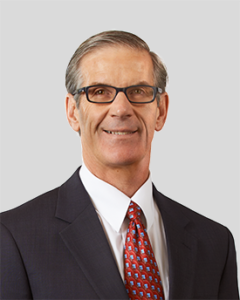 He has served as Chairman of the Pennsylvania Supreme Court Civil Rules Committee and has also served on the Pennsylvania Supreme Court Criminal Rules Committee. Judge Mazzoni currently serves as Vice Chairman of the Board of Directors of the Moses Taylor Foundation. He also served on the boards of directors of Mid-Valley Hospital as well as the Moses Taylor Health Care System. Dr. Sewatsky currently serves as an officer of the Board of Directors of the Moses Taylor Foundation in the capacity of Board Secretary. Dr. Sewatsky received a BS degree in biology and chemistry from Indiana University of Pennsylvania and a medical degree from Temple University School of Medicine. She returned to the area to participate in the newly formed Scranton/Temple Internal Medicine Residency Program and served as chief resident in her last year of training. She was appointed Director of Emergency Medicine at Moses Taylor Hospital where she served in that capacity from 1985 to 2011. She is currently employed by Community Health Systems at Moses Taylor Hospital and serves as the hospital’s Chief Medical Officer and Patient Safety Officer. She is board certified in Internal Medicine and is a member of the American College of Emergency Physicians and the Pennsylvania Chapter of the ACEP. Dr. Sewatsky served as a member of the boards of directors of the Scranton/Temple Residency Program, The Moses Taylor Health Care System, the Rural Stroke Initiative, and the Task Force on Health Care at the University of Scranton. She currently serves on the boards of directors of the Northeast Regional Cancer Institute and NEPA Emergency Medical Services. She is also an affiliate faculty member of The Commonwealth Medicine College. Dr. Sewatsky volunteers at the Children’s Advocacy Center in Scranton and her parish’s Care and Concern Health Clinic in Pittston. Mr. Moylan currently serves as an officer of the Moses Taylor Foundation Board of Directors serving as the Foundation’s Treasurer. 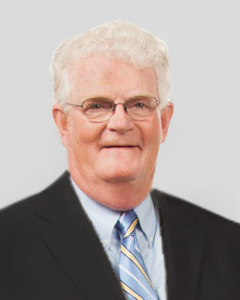 Mr. Moylan retired in 2007 after a distinguished thirty-eight year career in banking. 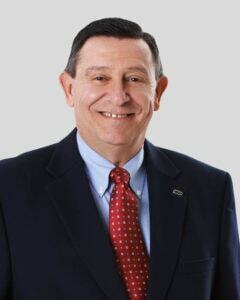 After serving as a 1st Lieutenant in the US Army from 1968-1970 and a rotation in Vietnam, he began his career with PNC Bank, known as Northeastern Bank of PA at the time, and later at Penn Security Bank & Trust where he served as Executive Vice President in Wealth Management Services. He served on the board of directors of the Moses Taylor Hospital until its sale in 2012. Mr. Moylan graduated from New York University Stern School of Finance with a BS in Banking and Finance. He received an MBA in finance and banking from the University of Scranton and graduated from the American Bankers Association Graduate School of Trust at Northwestern University. He is currently a member of the board of directors of Johnson College and previously served on the boards of directors of Keystone College, the University of Scranton, Holy Family Residence Advisory Board, and the Boys and Girls Clubs of NEPA. He served as director and faculty member of the Pennsylvania Bankers Association Trust School. Dr. Dzielak graduated from the University of Scranton in 1974 and the Philadelphia College of Osteopathic Medicine in 1978. Following medical school, he returned to Scranton to begin his training in internal medicine as a resident in the newly formed Scranton/Temple Internal Medicine Residency Program. He graduated from the program in 1981 and opened his internal medical practice in Scranton and Carbondale. Concerned about the care of the elderly population in the area, Dr. Dzielak focused on Geriatric and Critical Care Medicine and became Chief of the Geriatrics Subspecialty training program with the Scranton/Temple Residency Program. Dr. Dzielak is board certified in Internal Medicine and Geriatric Medicine. He served as Director of Medicine at Moses Taylor Hospital in Scranton from 1998 to July 2017. He continues to serve on the boards of directors of the Moses Taylor Foundation and the Wright Center for Graduate Medical Education. He retired from his practice in the Dunmore area as of July 3, 2017. Dr. Kolucki currently serves as Chairman of the Department of Obstetrics at Moses Taylor Hospital in Scranton. He received his bachelor’s degree from Boston College and an MD degree from Georgetown University School of Medicine, Washington, D.C., where he also participated in and completed their OB/GYN Residency where he served as Chief Administrative Resident. Following his residency, Dr. Kolucki returned to the Scranton area to continue his practice with the Physicians’ Health Alliance, at the time, an affiliate of the Moses Taylor Health Care System. He is the national physician advisor of the Community Health Systems’ Obstetrics/Pediatrics Council and holds teaching appointments in the health departments of the Geisinger Commonwealth School of Medicine and Marywood University. He is a fellow in the American College of Obstetrics and Gynecology. Dr. Kolucki serves on the boards of directors of Moses Taylor Hospital, Physicians’ Health Alliance and Pennsylvanians for Human Life. He previously served as the president of the medical staff at Moses Taylor Hospital. 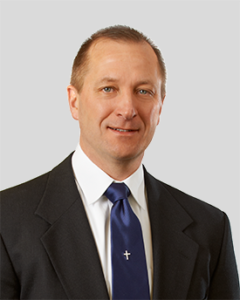 Attorney Marsili currently serves as a director of the Moses Taylor Foundation Board of Directors. She is currently employed by the First National Bank of Pennsylvania as a Vice President and Special Assets Officer specializing in commercial loan workouts. 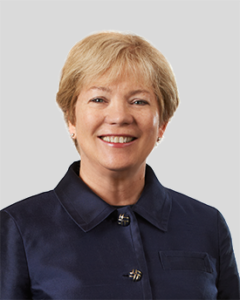 Prior to joining the First National Bank, she was engaged in private practice for twenty-six years and was a partner in the law firm of Epstein, Utan, Wilson and Marsili specializing in estate planning, estate administration and banking law. 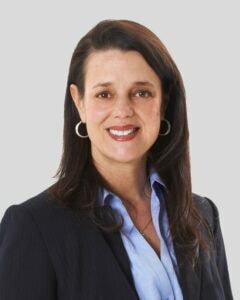 In addition to her work with FNB, she maintains a limited private practice. Atty. Marsili received a BS degree in public administration from the University of Scranton and a law degree from the Temple School of Law in Philadelphia. She has served on the Finance Committee of the Lackawanna County Bar Association. Atty. 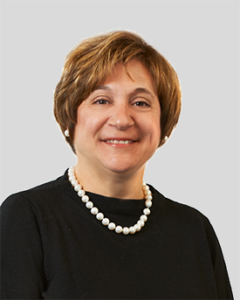 Marsili has been a past member of the Kiwanis Club of Scranton and had served on the boards of directors of Neighborworks NEPA, the Moses Taylor Health Care System and Mid-Valley Hospital, where she served as chair of the board of directors. 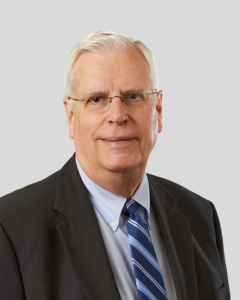 Mr. Lazor is a CPA, officer and shareholder with Kronick Kalada Berdy & Co., a certified public accounting firm based in Kingston, Pennsylvania where he has practiced as a partner for more than 25 years. He is a Certified Fraud Examiner and is also registered with the National Association of Securities Dealers and the New York Stock Exchange in general securities. Mr. Lazor is also registered in the Commonwealth of Pennsylvania as a Registered Investment Advisor. Mr. Lazor has served on the boards of the McCole Foundation and the Richard and Marion Pearsall Family Foundation as an officer and member since December 1999. Additionally, he has been an officer/ shareholder of Keystone Financial Advisors, Inc. since September 1995. He received a Bachelor of Science degree in Commerce and Finance from Wilkes College, and he holds CPA licenses in Pennsylvania and New York. Ms. Santarsiero serves as an Investment Executive for the Santarsiero Investment Group at LPL Financial in Dunmore PA. She has provided financial planning and investment management services for individuals, businesses, pension funds, foundations and endowments for the past 20 years. Prior to financial planning she was employed as an accountant in the banking industry. Ms. Santarsiero offers a high level of commitment to her community by donating her time and skills on many different non-profit boards. She serves on both the Finance, Audit, & Investment and Program & Grants Committees for Moses Taylor Foundation, as well as on St. Joseph’s Center’s Board of Directors and as a board member for Northeastern Economic Development Company of PA. Previously, she was President of St. Joseph’s Foundation board and served on the board of Dress for Success Lackawanna as the organization’s grant writer. Ms. Santarsiero acquired an MBA from Marywood University in Finance & Investments. She holds a BS in management and a double major concentration in accounting and economics.